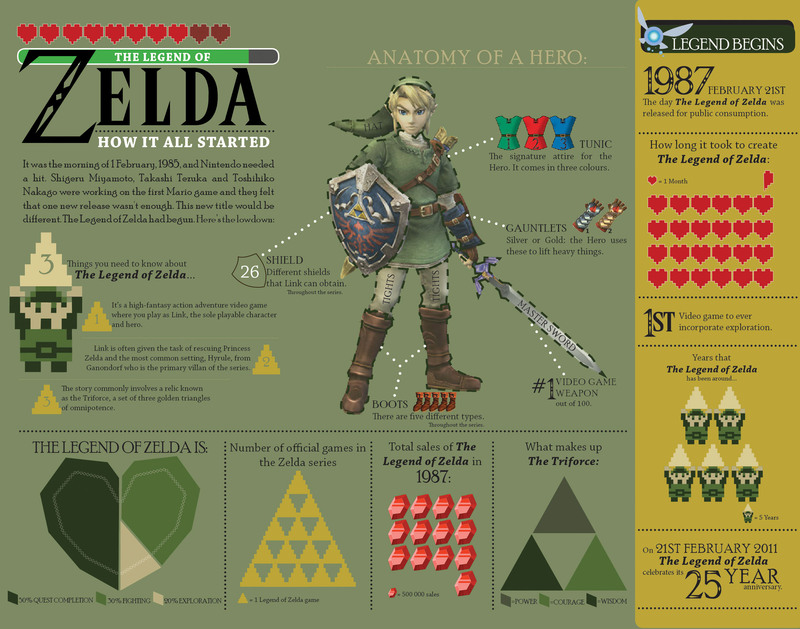 A set of three infographic posters on The Legend of Zelda Series. 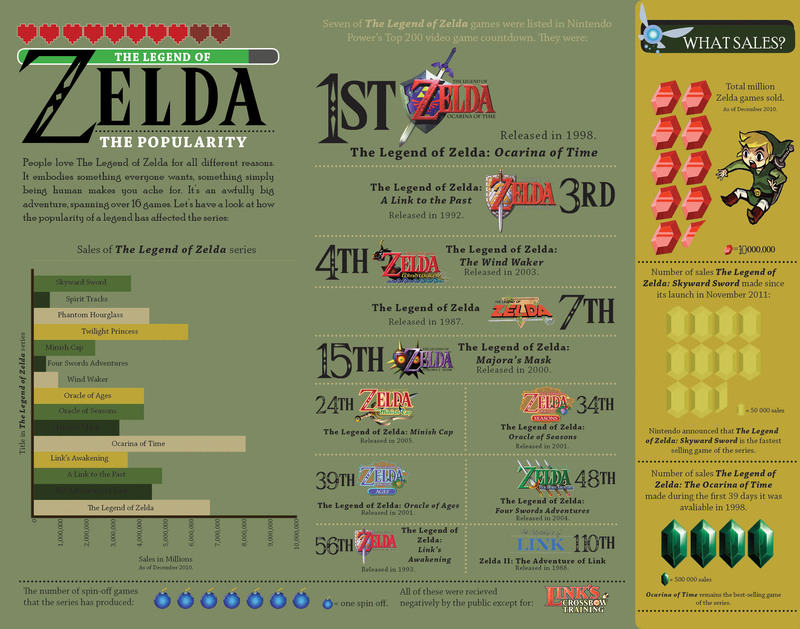 A set of three infographic posters based on the popular video game series, The Legend of Zelda. 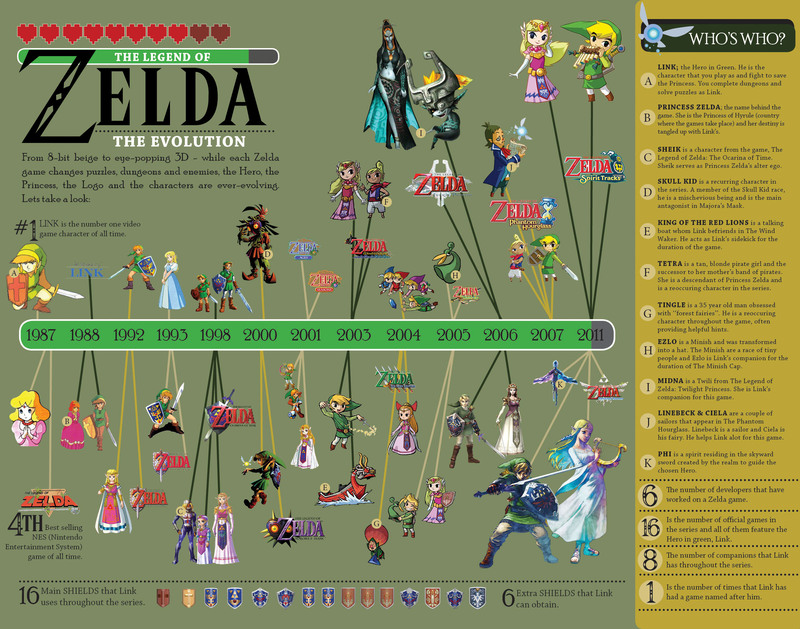 The posters are broken up into 'How it all started', 'Evolution' and 'Popularity' of the game.